Here's something I posted at the powerpoplovers blog a year ago or so. 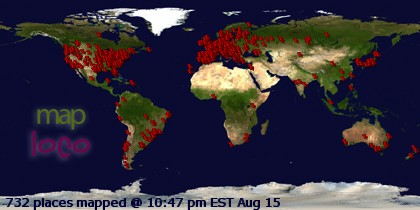 Maybe YOU missed it. Well, here's a very obscure and good record. The Roulettes! The Adam Faith related band, I hear? No, not really. In fact, I've had a bad bad time trying to find information about these guys. It seemed they never existed! And why did they choose this name? Who knows... Well, let's go for a description of the music instead. You're in for beautiful genuine American power pop with a lot Phil Seymour influences, catchy and melodic songs, the word tonight in good measure (ahh, that's a good thing!)... and all the songs but one (track 8... shhhhh) are really worth it. Hey, I hear some Rubinoos sound in many of the songs too. Yes, I can really picture them playing many of the songs of this album. Shouldn't this be enough to grab this platter quick? I say yes! Come On! You're not likely to find this little treasure easily or good-priced, that's for sure. 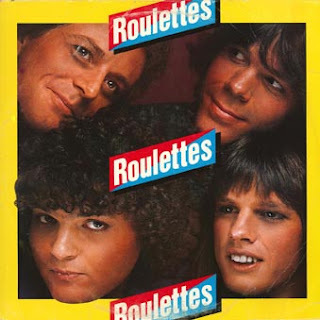 Roulettes--I have some info on these guys, and I have this album. Tom McMeekan and Jim Lowry were members of a legendary NW band named Notary Sojac that was based in Oregon from 1969-1974 but toured extensively. About the same time Bart Bishop led a string-based group out of Portland, OR, named Providence, which had an album entitled Ever Since the Dawn on the Moody Blues label. 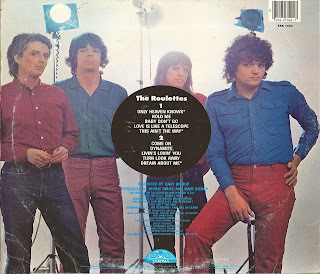 When these two groups disbanded, there had been some interaction between them--they were all from Boise, ID--so Tom, Jim, and Bart ended up in LA together in the late 70s finding work as producer Kim Fowley's studio band. On the strength of that association, they landed a recording contract with Takoma-Chrysalis Records and received the standard $10,000 advance to pay for their studio sessions. At this time, the band was called Laguna. When the album was in the mixing stages, a studio engineer at CBS mistakenly added lead tones over the master recordings and ruined all that had been laid down. With no money and a deadline looming, they convinced a friend with a mobile 24-track studio truck to let them use it on weekends to put something together. Their Laguna drummer by this time had split, so they enlisted some pre-recorded drum tracks and wrote songs around those tracks. The result was a power-pop album vastly different from the Laguna effort. Bart Bishop wrote the Providence entry on Wikipedia and adds some perspective about the Roulettes there. He is in the process of putting together a new CD, his first release, as far as I know, since the Roulettes. Tom McMeekan has several CDs out with his Boise-based band, Red & Gray, and has just released his first solo CD. Jim Lowry is a music therapist based in Oregon, and still one of the best bass players on the planet. Jim Gratton, Seattle. Thanks SO much for the information, Jim!! You really do an excellent work!!! This is what "RARE" means...!!! I've seen that album numerous times, and yet never knew that Bartholomew Bishop was involved! Sadly, he passed away Oct. 19, 2009, at age 56. RIP, Mr. Bishop.